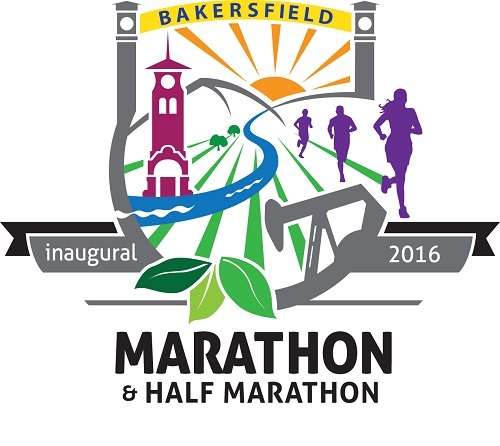 This was the 4th year we've done an EV event in Bakersfield, CA. It keeps growing every year. 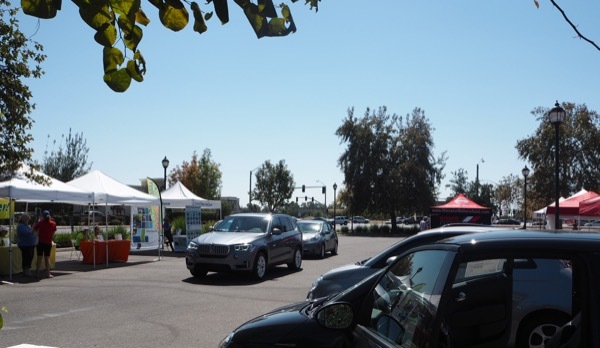 The PEV Collaborative was in Bakersfield, Calif., Sept. 11 during National Drive Electric Week, bringing its 2016 Best. Ride. EVer! campaign to the Park at River Walk. 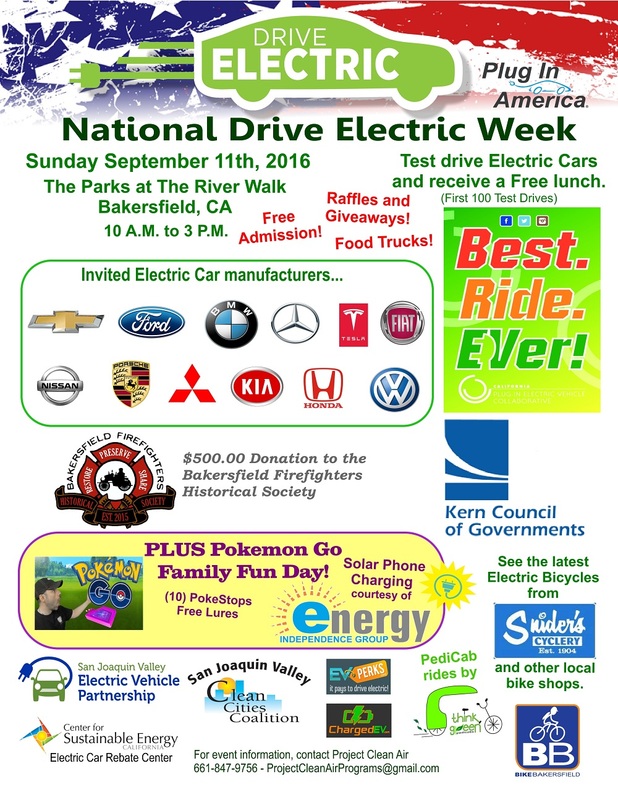 If you live in Kern County, come by the The Parks at River Walk on Sunday, September 11th, from 10am to 3pm to test drive Electric Cars for Free, courtesy of local dealers and get a Free Lunch with every test drive. And for every test drive we'll be donating $5.00 (up to $500) to the Bakersfield Firefighters Historical Society in honor of their 911 Memorial Fund Event happening that same morning at the fire station on Old River Road. There will also be an EV Meet-Up for all current EV drivers, who will receive gift cards courtesy of local businesses. - Pokemon Go Family Fun Day! Free Lures. (10) PokeStops in the Park. Come with your friends and family to enjoy a beautiful day the park! Registered attendees report 73,939 electric miles driven.